Most entrepreneurs I know enter a business looking to do what someone else does, only do it better. In the end, how much better can you do? 10%? 15%? You don’t want to do what everyone else does, you’ll just get lost in the crowd. Instead, do the exact opposite. The first trick is to look at what the competition is doing – then see what upsets you about it. Does it take too long to get the product? Is it tough to do? Look at every single negative aspect and find ways to make it better. Second, find a way to for people to experience something for themselves. Don’t force an experience on them, just set them up for something and sit back to see if they will engage it. On this episode of The Creative Warriors, we are joined by Jesse Cole. Jesse is the Owner of Fans First Entertainment, who owns and operates the Savannah Bananas and the Gastonia Grizzlies. The teams have welcomed more than 1 million fans to their ballparks and have been featured on MSNBC, CNN, and ESPN. Jesse’s teams have been awarded Organization of the Year, Entrepreneur of the Year, Business of the Year and have won three CPL Championships. 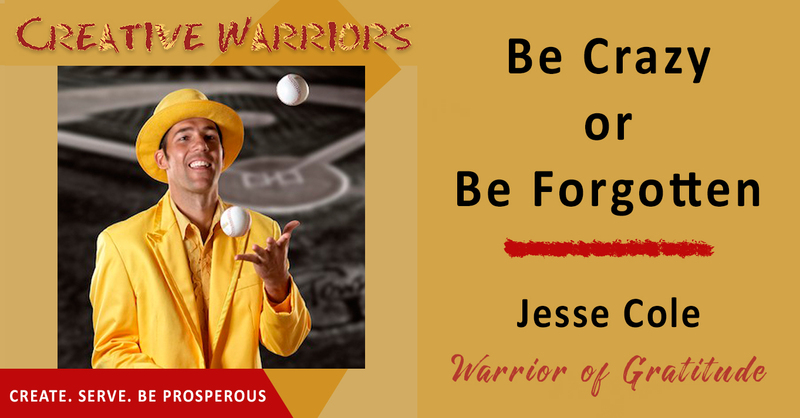 Jesse is an in-demand speaker and author of “Find Your Yellow Tux – How to Be Successful by Standing Out” released in January 2018. Jesse is also the host of the Business Done Differently Podcast. Jesse believes to be successful you need to Stand Out and Be Different. He is passionate about creating attention, loving your customers more than your product and loving your employees more than your customers. Jesse’s mantra is “Whatever’s normal, do the exact opposite.” Jesse does practice what he preaches. He took a sport most people considered boring (baseball) and turned it into something magical. Download this episode now to learn how you can turn your industry upside down. Embrace the fact that you are different. Your employees can be your biggest fans. Set the stage for people to create their own experiences. When you create attention, everyone starts paying attention to you. 16% of the best ideas come from work. When you get up in the morning, write down 10 ideas. Look at what frustrates you about a company, and do the exact opposite. If you could create the perfect experience, what would it look like? To discover what you want to be known for, write your own obituary. 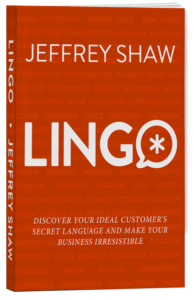 Listen to Jeff’s episode on Jesse’s podcast Business Done Differently!